Size: 2XL, Color: Beach Floral Cascade/Black (-) is currently out of stock! Size: L, Color: Beach Floral Cascade/Black (-) is currently out of stock! 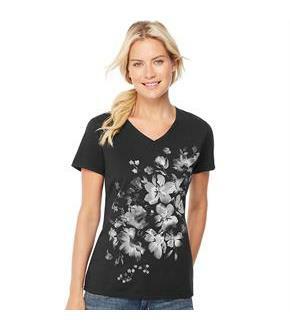 Size: XL, Color: Beach Floral Cascade/Black (-) is currently out of stock! 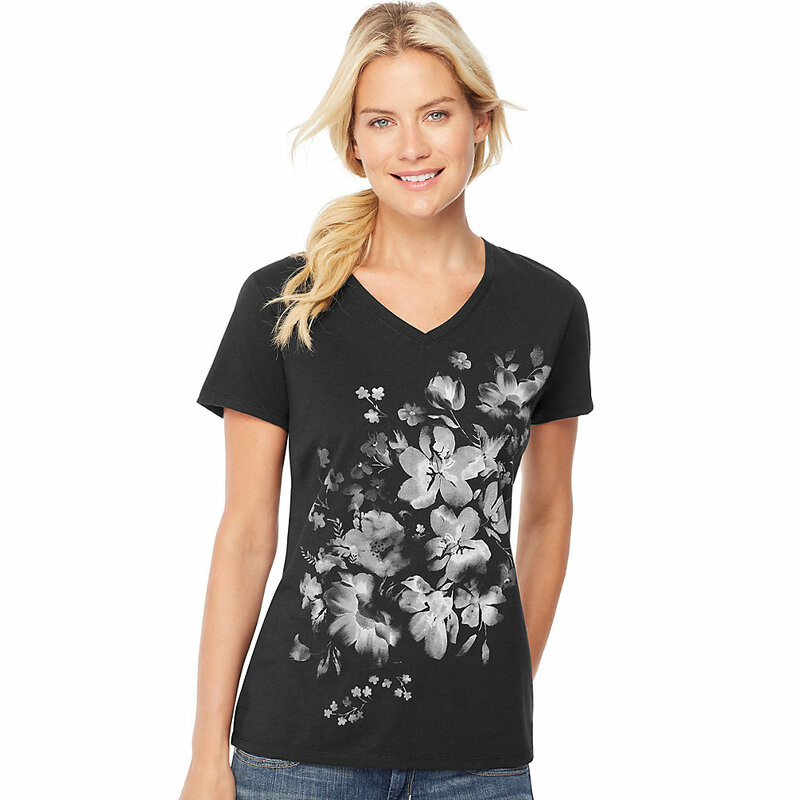 Make a statement in this bleach floral cascade graphic tee. Lightweight blended fabric feels incredibly soft and luxe. Mini-ribbed V-neck frames and flatters your face.Tag-free for itch-free comfort.Some graphics may include glitter.